13 Tracks, 1:06:35 playing total playing time. "I appreciated especially the musical quality of the playing. 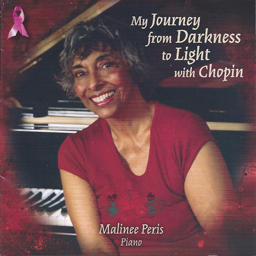 Malinee Peris has given a very refined interpretation of this French Music. 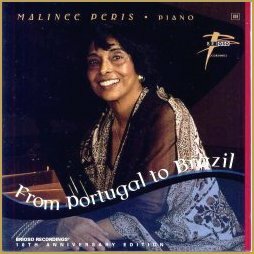 I will broadcast this CD (BR127) on the Radio Station Klara (the classic Radio of Flanders), so a lot of Belgian Radio will enjoy the playing byMalinee Peris." Luc Van Gool, Producer VRT (Belgian Radio and Television). 36 Tracks, 1:18:31 total playing time. "She plays with a refinement and depth of sonority beyond the grasp of the recent competiton." "The Fantasia Baetica written by De Falla for Rubinstein was brilliant." 38 Tracks, 1:18:08 total playing time. Just two issues ago, Keyboard Classics for Children was favourably reviewed. Except for a different quote from the pianist's booklet notes and a couple of repertoire differences, I could almost use Alan Becker's review of that CD in its entirety fot this release. 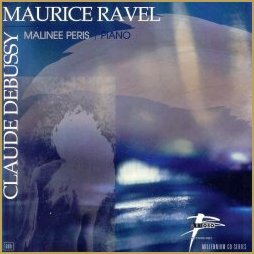 Included here are Debussy's Children's Corner Suite, Schumann's Scenes from Childhood, Chopin's Berceuse, Prokofieff's Tales of the Old Grandmother, a set of Martinu Fables, single pieces by Livens and Bartok, plus nine Pezzi Infantili by Alfredo Casella. "I like the out-of-the-ordinary selections better than the expected ones, but all are well played. 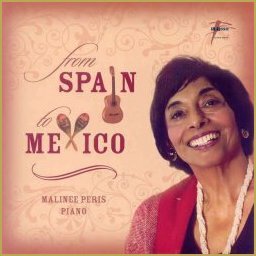 Malinee Peris is a native of Sri Lanka, trained in London, and has been performing for nearly 40 years. With an impressive list of orchestral performances, radio and television programs, and solo recitals, she is currently an Associate Professor of Music at George Washington University." 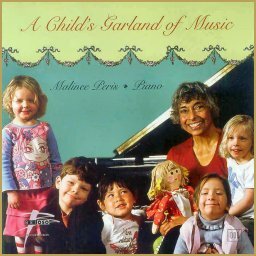 She does fulfil her wish of being "able to capture some of the innocence and joy of childhood as each new experience unfolds in life and in music". I have had classical music on in my daughters' rooms for bedtime listening since they were infants. This has immediately joined the stack of high quality selections that I hope will rub off on them and help shape their musical sensibilities as they progress toward that abyss known as the teenage years. Given the excellent perfomances, program booklet, and fine sound, this release is hard to resist, even if you don't have children at home. Harrington - The American Record Review, November/December 2017, pg 240. 12 Tracks, 1:20:07 total playing time. “The program is chosen well, with good contrast in moods, and played with an emphasis on expressiveness and lyricism, though Ms Peris has no trouble summoning up thunder when she needs to, as in the stormy Revolutionary Etude (Op. 10:12) that opens the program. She plays the famous Funeral March without a hint of parody and the Prelude, Mazurka, and the other two Etudes with simple, gentle lyricism that contrasts effectively with the drama of the Scherzo and two Ballades. The Nocturne may occasionally be more perfectly rendered, but it doesn’t happen often. The Chopin Bicentennial two years ago prompted me to finally get the Ohlsson (Arabesque, recently reissued on Hyperion) and Ashkenazy (Decca) sets, and while I prefer their more emphatic approaches in the bigger, more dramatic works, I will return to this disc. In fact, I’ve played it a bunch of times while I’ve been working late and the office is empty (best time to be at work!) and have found that both the performances and the combination of pieces continue to delight me. The recorded sound is solid and serviceable, though maybe not quite the absolute state of the art. A little more firmness in the bass and a warmer, less glassy tone to the upper mid-range would be nice. But these are the kind of quibbles one can have when there's a whole shelf of Chopin CDs in the next room.